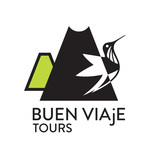 Subscribe to Buen Viaje Tours quarterly newsletter. (346) 300-1246 in the U.S.
We often utilize photos for commercial use with allowed modifications found through Creative Commons. If you feel we have inadvertently used a photo that requires licensing or credit, please don't hesitate to contact us so we can correct our error.